Rolex Oysterquartz is one of the most desirable quartz watches ever made! 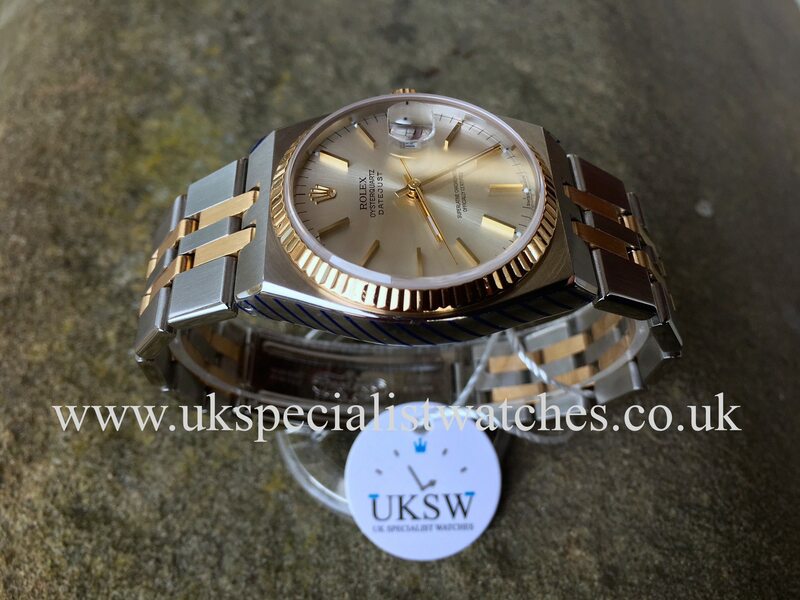 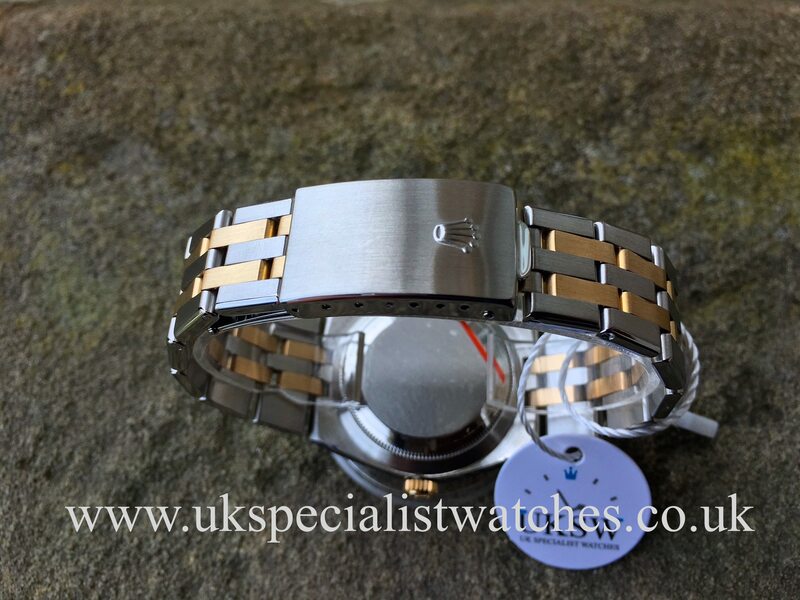 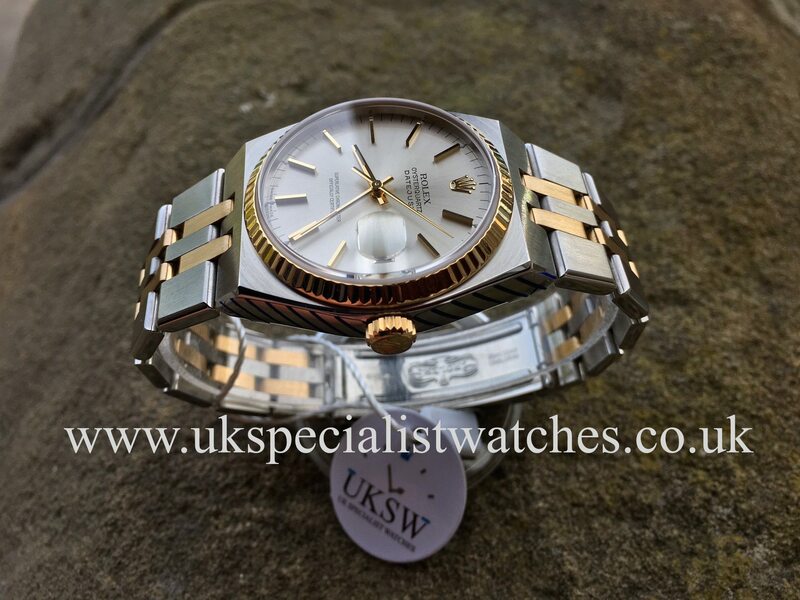 With a distinctive 70′s retro style 36mm angled case which is totally different to the normal oyster cases. 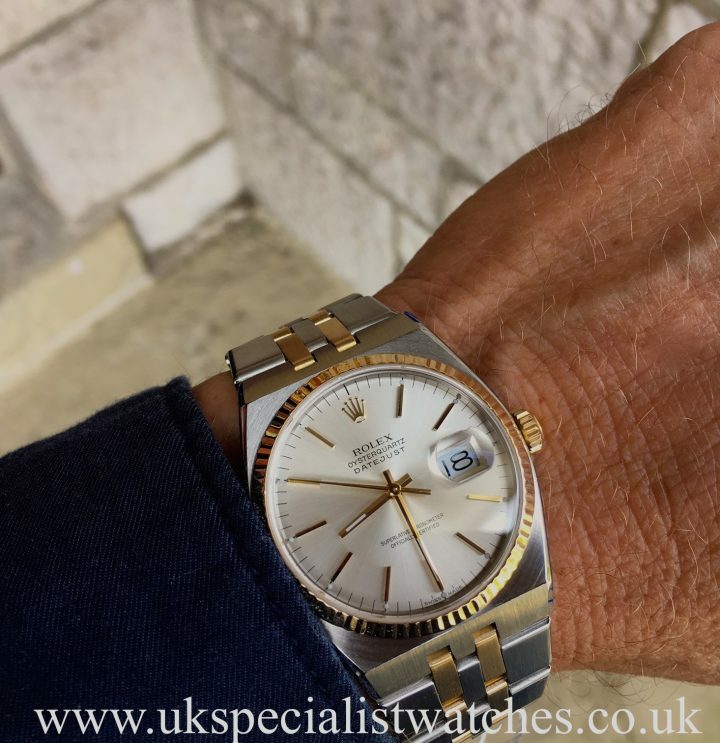 Rumoured that less than 25,000 watches were ever produced making the Oysterquartz one of the most limited watches in Rolex’s production history. 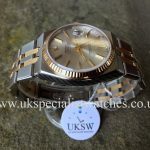 Our one owner watch comes totally complete with absolutely everything from new! 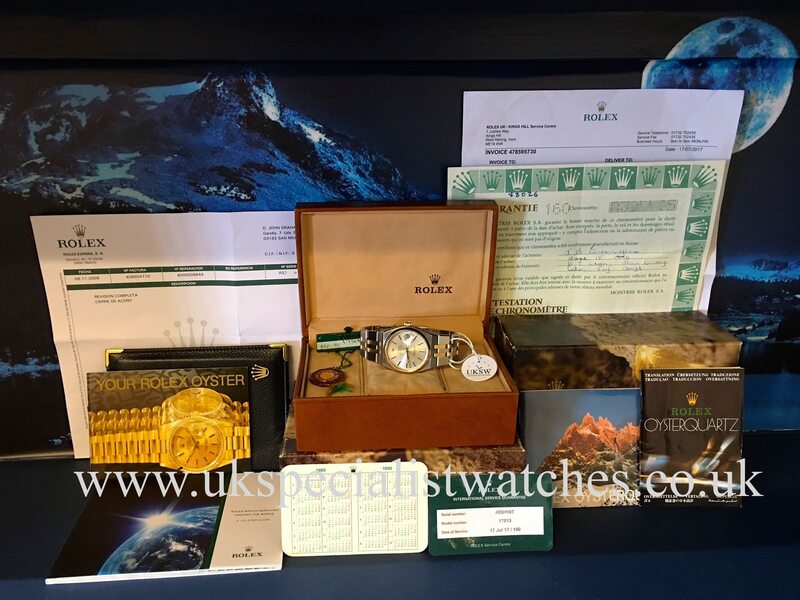 All original boxes and Papers, all three booklets, original leather wallet, even has both original swing tags including the serial’d no swing tag. 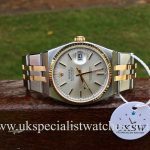 Official Rolex services dated Nov 2008 & July 2017 costing £1477. 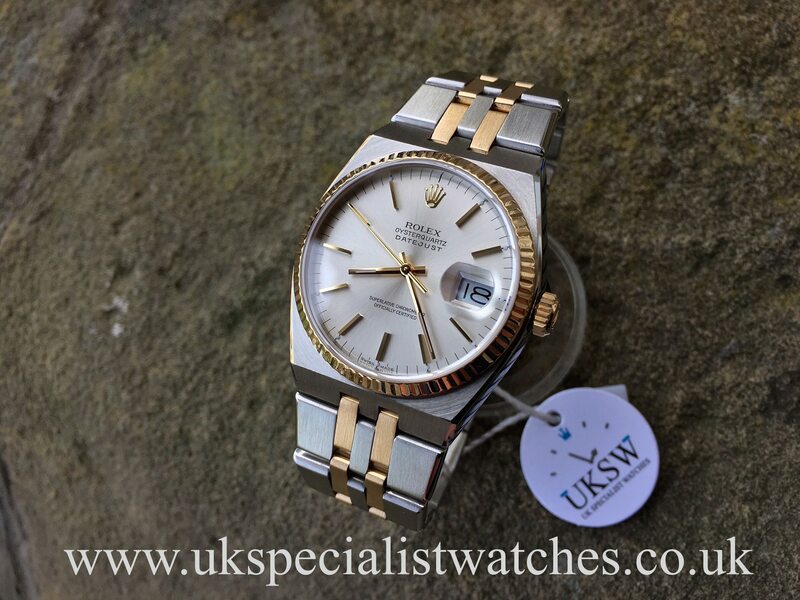 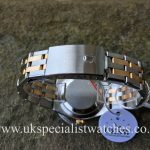 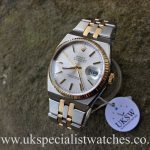 The condition is absolutely pristine having just returned from a complete service and refurb by rolex London. 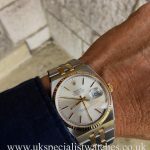 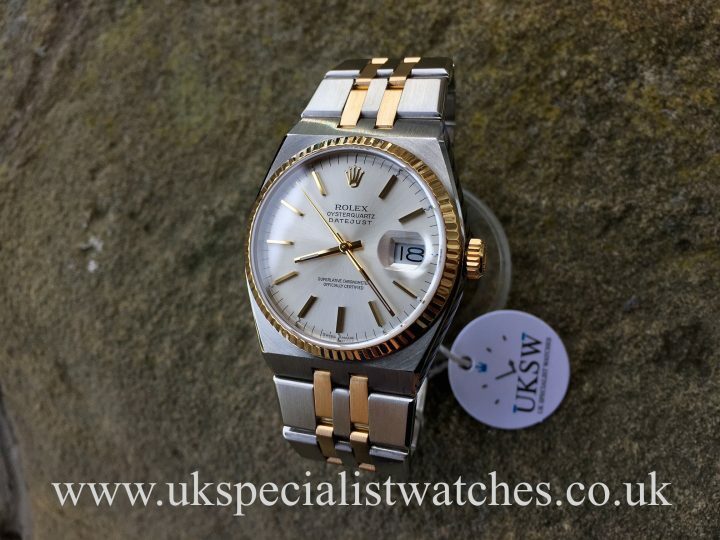 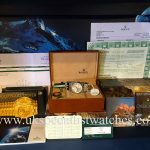 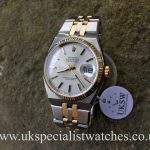 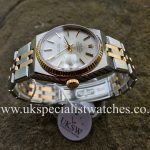 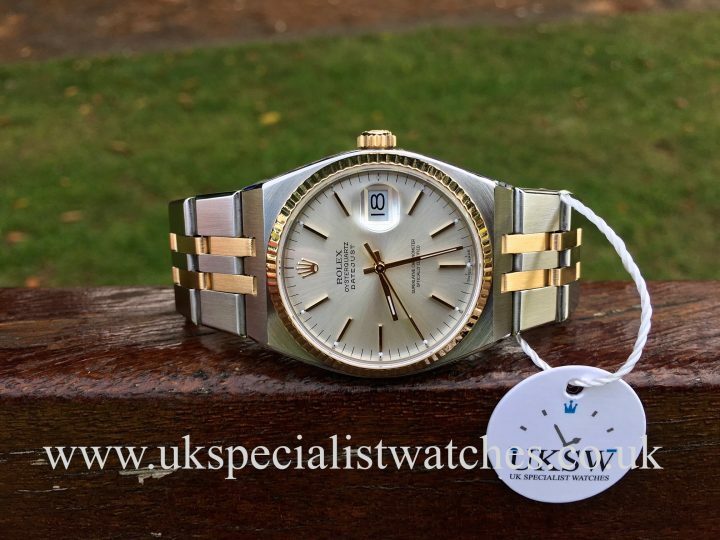 The Rolex oyster Quartz are going to be a collectors must have Rolex piece, so get your hands on one of the nicest and most complete you’ll find !